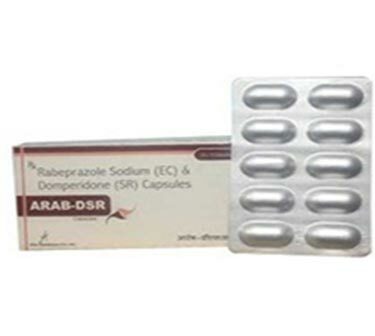 Best Rabeprazole Sodium Api Manufacturers in Hyderabad.Enal Drugs manufactures Rabeprazole Sodium used for the treatment of ulcer.It is prescription drugs ie antiulcer drug .We have high technical qualifications, professional experienced Team,Self-confidence leadership qualities team to be successful in this industry. We involve into a considerable reputation and also export to different countries using many products like Lansoprazole, Paroxetine Hydrochloride,Zonisamide and much more.It belongs to the class known as proton pump inhibitors.This medication is used for the treatment of gastroesophageal reflux disease (GERD), which is caused due to the high level of acid.The doctor prescribe this medicine in the form of a tablets and also in the form of capsules. It may be used as part of a combination therapy with Amoxicillin and Clarithromycin. we are ISO 9001: 2008 certified company, which involve in manufacturing and exporting Anti-Ulcerative Drugs, their intermediates, and also some other API and intermediates.we are located at Bangalore but exports all over the world like Europe, Asia, and Africa .we also have high technical qualifications, professional experienced with leadership team and self-confidence person to make our industry successful. Research and development in our industry are lead by a Ph.D. in organic chemistry and assisted by officers and chemists, all with M.Sc. in organic chemistry.So the products which are manufactured and supplied will be cost-effective, high quality based on our industry.